These mashed potatoes are delightfully different. The apples add a hint of sweetness to the potatoes, yet the savory flavors of the herbs still shine through. 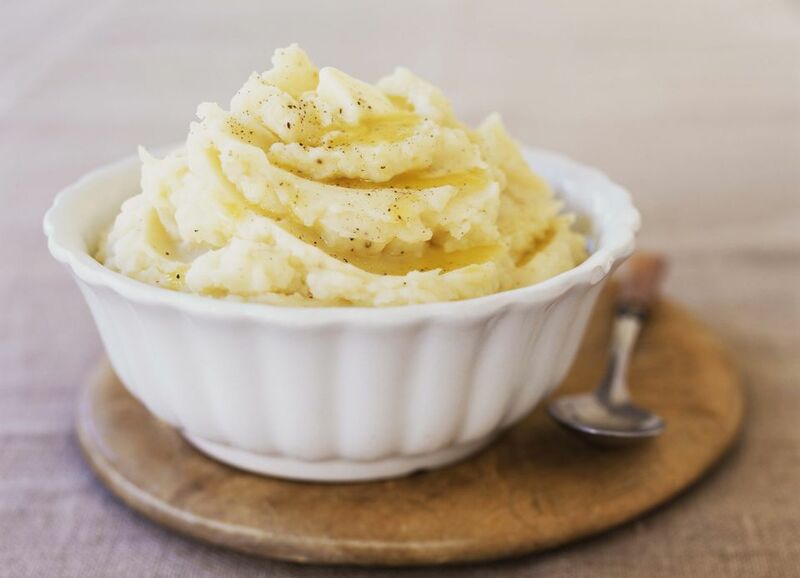 Sour cream gives a rich creamy texture, but remember, you want these mashed potatoes chunky, not smooth. Apple mashed potatoes are especially good with pork. Place the potatoes, apples, onions, oregano, thyme, nutmeg, and rosemary in a heavy saucepan with the chicken broth. Cover and simmer 20 to 30 minutes until tender. Drain off liquid, reserving for later use, and return vegetables and apples to the saucepan. Add sour cream, butter, salt, and pepper. Coarsely mash the vegetables, leaving some large lumps. If the mashed potatoes are too dry, add a little of the reserved liquid. If necessary, reheat over low heat while stirring constantly. Serve hot.